Albert Jan Kluyver ForMemRS (June 3, 1888 in Breda – May 14, 1956) was a Dutch microbiologist and biochemist. In 1926 Kluyver and Hendrick Jean Louis Donker published the now classic paper, "Die Einheit in der Biochemie" ("Unity in Biochemistry"), a paper helped establish Kluyver's vision that, at a biochemical level, all organisms are unified. Kluyver famously expressed the idea with the aphorism: “From elephant to butyric acid bacterium – it is all the same”. The paper, and other work from Kluyver's lab that helped support both the concept of biochemical unity as well as the idea of "comparative biochemistry," which Kluyver envisioned as biochemically equivalent to “comparative anatomy.” The concept established a theoretical basis for studying chemical processes in bacteria and extrapolating those processes to higher organisms. The concepts of "biochemical unity" and "comparative biochemistry" were both very influential and probably Kluyver's most significant work. 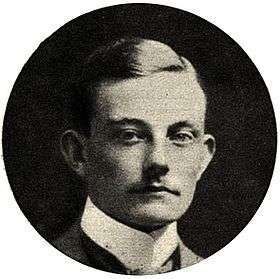 Kluyver's best known student, C. B. van Niel, commented on his mentor's scientific influence and noted that by the middle of the 20th century his work on biochemical unity was no longer cited. His aphorism was sufficiently widespread that in 1961 François Jacob and Jacques Monod paraphrased it, without mentioning Kluyver, as “that old axiom ‘what is true for bacteria is also true for elephants’ ” to justify genetic code's universality. Unfortunately, his career was profoundly influenced by World War 2 and the Nazi occupation of the Netherlands. Kluyver is associated with the Delft school of microbiology. In 1926 he became member of the Royal Netherlands Academy of Arts and Sciences. He is considered the father of comparative microbiology, and in 1953 won the Copley medal. 1 2 Woods, D. D. (1957). "Albert Jan Kluyver 1888-1956". Biographical Memoirs of Fellows of the Royal Society. 3: 109–126. doi:10.1098/rsbm.1957.0008. ↑ Spath, Susan B. (1999). C.B. Van Niel and the Culture of Microbiology, 1920–1965 (PhD). University of California, Berkeley. 308t 1999 385. ↑ Singleton, J. (2000). "From bacteriology to biochemistry: Albert Jan Kluyver and Chester Werkman at Iowa State". Journal of the History of Biology. 33 (1): 141–180. doi:10.1023/A:1004775817881. PMID 11624416. 1 2 Theunissen, B. (1996). "The beginnings of the ?Delft Tradition? Revisited: Martinus . Beijerinck and the genetics of microorganisms". Journal of the History of Biology. 29 (2): 197–228. doi:10.1007/BF00571082. PMID 11613330. ↑ Kluyver, Albert J.; Donker, H.J.L. (1926). "Die Einheit in der Biochemie". Chem. Zelle Gewebe. 13: 134–190. ↑ Kamp, A.F. ; La Rivière, J.W.M. ; Verhoeven, W. (1959). Albert Jan Kluyver: his life and work. Interscience Publishers. p. 20. ↑ Kluyver, Albert Jan (1931). The chemical activities of micro-organizms. University of London Press. p. 5. ↑ Monod, Jacques; Jacob, François (1961). "General Conclusions: Teleonomic Mechanisms in Cellular Metabolism, Growth, and Differentiation". Cold Spring Harb Symp Quant Biol. 26: 389–401. doi:10.1101/SQB.1961.026.01.048. ↑ "Albert Jan Kluyver (1888 - 1956)". Royal Netherlands Academy of Arts and Sciences. Retrieved 28 July 2015. "ASM" (PDF). Archived from the original (PDF) on 2006-01-04. Retrieved 2013-08-17.